This 60mm drainage pipe is a perforated single wall land drainage. 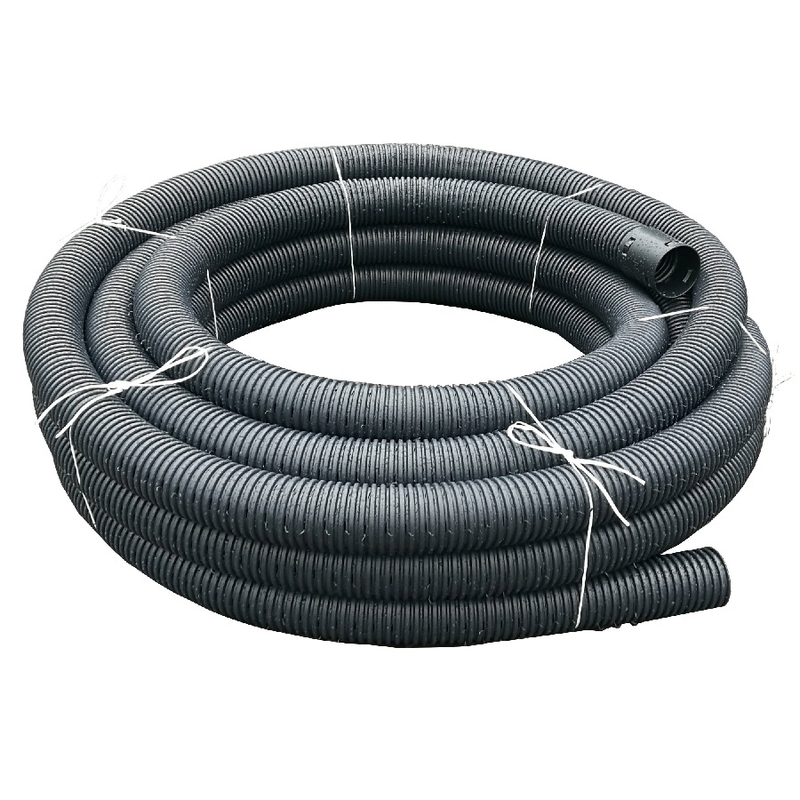 Used as a collector drain for the removal of excess surface water on gardens and fields to a suitable collection point. The minimum depth of cover on any piped drain should be at least 450mm to protect the pipe from damage due to the surface traffic or maintenance operations such as deep spiking.